What did Jesus mean by abiding in the vine? Does this have application to us in specific ways? What is the meaning of abiding in the vine? 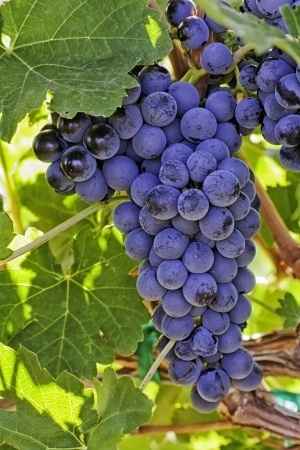 The vine is a symbol of ancient Israel. It was engraved on the temple as symbolic to being attached to the Vinedresser, which is God Himself. Israel was to be a witness to the pagan nations that surrounded her and she was supposed to produce fruit, or evidence, that faithfulness and obedience to God would produce good fruit and would be a blessing to all that are attached to this Vine. 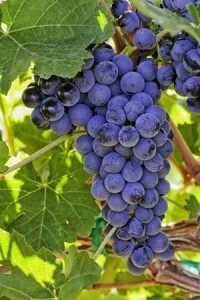 Being attached to the vine would necessarily produce fruit as grapes would be produced in a vineyard but if the vine is not attached or is broken off, fruit will not be produced, and in fact it would be impossible for fruit to even grown. The vine had a special meaning to the nation of Israel and it does today to the Christian as we shall see by Jesus’ using this in His teaching here. Israel was to be a witness to the pagan nations that surrounded her and she was supposed to produce fruit, or evidence, that faithfulness and obedience to God would produce good fruit and would be a blessing to all that are attached to this Vine. It is helpful to break down and comment on these verses to see exactly what Jesus was telling us. Everything Jesus taught was beneficial to believers but this teaching is especially important because it gives us evidence to the fact that we are His and that we are abiding in Him. If we are not, we will not produce fruit for no fruit has ever been produced that has not been attached to the branch. The identity of the Vinedresser is given in the first verse. The Father is the Vinedresser and Jesus is the vine. We are obviously the branches. What is interesting here is that if a branch (believers) is not bearing fruit, God will take it away and every branch that He prunes is pruned so that it will bear more fruit. We prune our roses every year. It looks like I might even kill it by cutting it back so much. I can understand why if someone who didn’t know about roses saw what I did by pruning it would think that I am destroying it. The roses may be hurt in the short term but pruning induces more growth in the long run. God also prunes us and it is certainly painful at the time but this pruning will produce more fruit in us. I love roses and so by my pruning them I reveal that I love my roses because my wife and daughter love roses. If I didn’t care about them then I’d leave them alone and if I left them alone, they would produce far fewer roses. The fruit is evidence of our abiding in the vine and the pruning is evidence that the Father loves us for what father doesn’t discipline his own children whom he loves (Heb 12:7)? Our pruning shows that the Father loves us and that we are His own children (Heb 12:6). Jesus reveals that these disciples of His are already “clean” because of their relationship to Jesus, even before the cross. That is because what Jesus did at Calvary goes back in time and forward in the future for all who have faith in God. This includes Abraham, Moses and all others who have trusted God or who will yet in the future trust in Him. The “word” has a cleansing effect on believers (Eph 5:26). What does it mean to abide in Christ? To abide means to dwell with, dwell in or live in. It can be said that we all abide in our homes. If we are in our homes we are abiding in them. If we are abiding in Christ…He is abiding in us…or living within us. Unless He abides in us it is impossible to bear fruit because a branch (us) that is not abiding in the vine (Jesus) cannot possibly produce any fruit at all. Jesus is called the Word of God (John 1) and if we are abiding in His Word, the Bible, we are abiding in Him and He is abiding in us. If we get into the Bible the Bible will get into us. If we go through the Bible the Bible will go through us. If we are in the Word the Word will be in us. If we read the Bible the Bible will read us. There is an interesting phrase in this verse where Jesus says “apart from me” the Greek says “severed from me.” The phrase “severed from me” is the idea of being cut off from Him. When a branch is severed from the Vine (Christ), it is little wonder that Jesus says “severed from me you can do nothing.” It will whiter and die. Christians will wither away, shrink, and die apart from the Vine but if we do abide in Him, clearly we will bear “much fruit.” If we don’t abide in the Vine, not even one grape can be produced. If a believe is not abiding in Christ then they will not produce any fruit and what use is the branch if it isn’t producing fruit except for the purpose of being gathered and thrown into a burn pile. Is this meaning that a believer who stops abiding in Christ will be cast into hell? No, because the context of this chapter gives no indication of this. It could be possible that the Lord can take someone home for if they are not producing fruit. If believers are not producing fruit, they are not glorifying God (John 15:8). This teaching takes a different turn as we see that the effectiveness of our prayers is tied into our abiding in Christ. If we are abiding in Christ and His words (the Bible) then whatever we asked He will grant if it is His will. This means that the opposite must also be true. If we are not abiding in Christ and in His Word, then even our prayers are blocked or made ineffective. Verse 8 is actually tied to verse 7 which shows that if we abide in Christ and in His Word, whatever we ask for we will receive according to His will. Answered prayer glorifies the Father because we are honoring Christ and the Word of God, the Bible. Evidence of our abiding in Christ is that we are keeping His commandments for if we keep Jesus’ commands then we are abiding in His love. Just like children, we tend to obey whom we love and when we obey, this proves our love for them. We show God we love Him if we obey His commandments. Jesus taught that if we love Him we will obey Him (John 14:15). We have a vineyard near our home. When I see the branch it is impossible for the naked eye to see if it is a dead branch that needs to be pruned or one that is abiding in the vine. Even the owner of the grape vineyard cannot tell whether the branch is alive or not. The only way he can tell is by bending it. If it is dead, the sap will not enter it and the vinedresser of this vineyard breaks it off and throws it into a pile that needs to be burned. He can’t tell if it’s attached or not until he bends it. If it breaks off, then there is no sap going into it. If it bends but doesn’t break, then the branch is truly attached to the vine and it’s being fed by the vine. God also bends us to see if we are indeed attached to the vine. Those who are not attached are broken off and burned. Those who are attached will produce fruit because they’re being fed by the vine. The analogy is perfect. If we are attached, we are feeding on the Vine (and His Word). Jesus chose us so that we would bear fruit to God’s glory (John 15:8; 16). This was the same reason that Israel was a chosen people. If we don’t abide in the Word of God, which is like abiding in Christ, it is impossible for us to bear fruit. If we bear no fruit, we are good for nothing more than the burn pile. If a person is not saved, they cannot possibly bear any fruit at all except the fruit of the flesh which will ultimately send them to a fiery judgment (Gal 5:19-21) however if we are abiding in Christ and He in us through His written Word, we will produce godly fruit that glorifies God and testifies that we are the children of God (Gal 5:22-24). You prove what manner of spirit you are by what manner of fruit you produce. That is part of the reason Jesus told us to abide in Him, the true Vine, or else be cast into the fire. Jack well done!lovely article I enjoyed this. Pastor Jack I have a question although its not in relation to this very article. Does satan know he’ll be doomed? I just thought about this now and decided to ask a man of God,who God has reaveled alot to and has passed the blessings to us. id be very glad if you can answer this,this is what i a crhistian want to know. God bless you and your family. I’ll be looking forward to your reply,thank you. Thank you Nnadozie so much for your comment and question. Let me say that I believe that Satan knows that his fate is sealed but like we, the timing is unknown. I remember when the Devil was quoting Scripture when he tempted Jesus in the Wilderness and although he knows Scripture very well, he does take it out of context. Nonetheless, he does know Scripture and since he is highly intelligent he must know that the Book or Revelation prophecies of his eventual doom. The only other option is that he is so full of pride that he is blinded to the reality of his eternal fate and pride has a way of blinding creatures (we are no exception) and so he might actually believe that he has a chance of surviving God’s coming judgment. Either way the Bible is not specific or clear about this so neither can I be. It is only speculation as far as I know. This was a very good article and I enjoyed reading it. May the spirit of God continue to abide in us as we abide in Him. Thank you Grace…I appreciate your good words. I truly love your last comment and pray that we abide within Him and He in us by His Sprit. Thank you so very much. once again you provide such an awesome and thorough analysis of the Bible. You make all things clear, and it is so evident to see Christ in you, working His teachings through your ministry. I love your posts because it explains the Bible, and I’m trying to learn it best I can for the glory of God. I wish you all the best, and am eager to reading more. As always keep the faith and cheers. Your more kind to me than I truly deserve Zack. Nonetheless, thank you. I sure can not take credit for I did not learn anything that was not first given to me and so all glory goes to God. It also made so much more sense to me when Jesus in the same metaphor speaks of removing branches that bear no fruit. Was I to be cast into the fire because I had no new convert notches on my pistol grips? No! Amen! By their fruits will you know them. We demonstrate that we are saved and connected to the Vine(Jesus) by the Holy Spirit producing fruit in our lives. No love, joy, peace, long-suffering, gentleness, goodness, faith, Meekness, temperance…. no life. Thank you Lord for your life in ours! Doc, I think the context is very important that you mentioned Jesus speaking of a narrow road that leads to destruction and that is not lost in your comments. I wish I had thought of that but you have such keen insight that your comments alone add so much to what I write. I agree that if there is no fruit there is no life. That’s spot on brother. I believe that if a person is not witnessing then they may have to question that they have the heart of God or the Spirit of God dwelling in them….you make another excellent point. I did today at Taco Bell between a break at work and I felt such joy handing out Bible tracts AND speaking with some people…young children of a grandma included. If we are not witnessing our hearts are surely not aligned with God’s for He desires that none perish…is that our will too? The church I am under shepherd of is not going with me door to door, in the parks, in the nursing home, in the streets and in fact you can’t even spell Gospel without “Go!”. That is amazing from a human standpoint but I see what you are saying. What is most amazing is that God can use a broken, empty vessel that like Gideon’s clay pots were broken and filled with light to win a great victory by a very small force….I see the analogy. The broken clay vessels would otherwise be rubbish so we must realize that God receives all glory for all we do. I do think its interesting and I did check out the icr article (which website is theologically rock solid…me? Not sure). Thanks for your encouragement brother. It has been a hard week. Another church discipline issue that is quite messy, I start another 7 week intensive at Moody Seminary, I have to work all week, and the church I pastor at needs much counseling…and so I am that broken vessel that is useless without His filling me up! How interesting that the dates are the same! Isn’t our God an awesome God. Nothing happens by accident in God’s sovereignty. I stand amazed again and His power and timing particularly since this article was written about 6 weeks ago as I write them well ahead of time…but what is time to God!? Hi Ps Jack, I really embraced a lot of this article as I heard this topic being discussed on a radio program and it led me to ask what is actually abiding in the vine. Outwardly I don’t look like other Christians, I don’t mean this in a judging way but it does sound so and I am sorry for this it may be I don’t really know what a Christian in suppose to look like I can concede this. I have struggled to fit in, in the world or in Church. My walk has been a lonely one but I have always stayed close to God in all seasons (even when I thought I had strayed, its like he has been so good to me, I have been given enough rope but not to hang myself). In my loneliness and in my I personally drew closer to God. Sadly I feel like I am on and off the vine but maybe that’s the pruning you are talking about? When you speak of fruit how do we know what this fruit should look like? I believe it is faithfulness, forgiveness, loving others, compassion, standing, blessing others. Its not work based and if we speak obedience it is not obedience based on rules but on love, through Godly submission. I’m ask for more because I know since I became a Christian I have been through so much as I’m sure others have too but yet even in my darkest times he brought me through, but yet I’m not sure if I have been bearing fruit or not. I know the Lord has been there even when I have not always obeyed as I should and you know this spoke to me more, he blessed me when I was not deserving and this knowing makes me want to be more for Him but I know I’m not, though inside I want to be. Many times I have failed and yet many times there was God in the midst of it all, this has brought me to my knees. I feel so sad though as I do not seem to have embraced the whole Christian life fully. I know God is faithful but me I am so up and down. I recently just started attending Church again its hard as I said I am on the outer and so normally I fade away but this time I am trying to abide to not leave just because I am unseen or seen as something else and remind my self that the Lord see’s me. Sometimes though I wonder how long will I last this time, I’m tired of living with one foot here and one foot there. But do not know how to break out of this cycle, I’m on fire then I’m cold. I committed then I’m non-committed, I read my bible then I don’t, I pray fervently then not at all, I have faith then can move mountains then I hardly believe in anything. Its really wearing thin. Lisa, I think your description of the fruit is spot on. I love it. I should have elaborated more on this and so for that oversight on my part, please forgive me. Take heart, this is a hard road to walk and we all have ups and downs but the very fact that you are striving to walk in obedience, and like me I have my moments in the wilderness, you are at least seeking to please God and that is a fruit in itself. One way you can see if you are growing, look back on your Christian life about 2 months ago, 2 years ago and even more. You most likely can see where you have grown. I too don’t always obey where and when I should so you are not failing. We are going through a fight against wicked spirits in high places. Sanctification is a life-long process and struggle but there is evidence of your faith…you are struggling. Those who are not saved and not really abiding or attached to the vine don’t care about such things. I know what you feel…up and down, cold then hot, but take heart my sister in Christ. This is evidence because those who don’t struggle are not even considering their sin but at least you are. I will pray for you my sister. In the meantime, try and read how sure Paul was in Romans 8 compared to his mighty struggle like we go thru in Romans 7. I believe this will encourage you. Your words are very encouraging Lisa. I wished you were closer to our church in Mulvane, Kansas because even though we are a small church, we are very loving and accepting of others. We have such a sweet, sweet spirit there that you would feel embraced immediately when you walked in. I pray God directs you to a church that will feed you the Word.